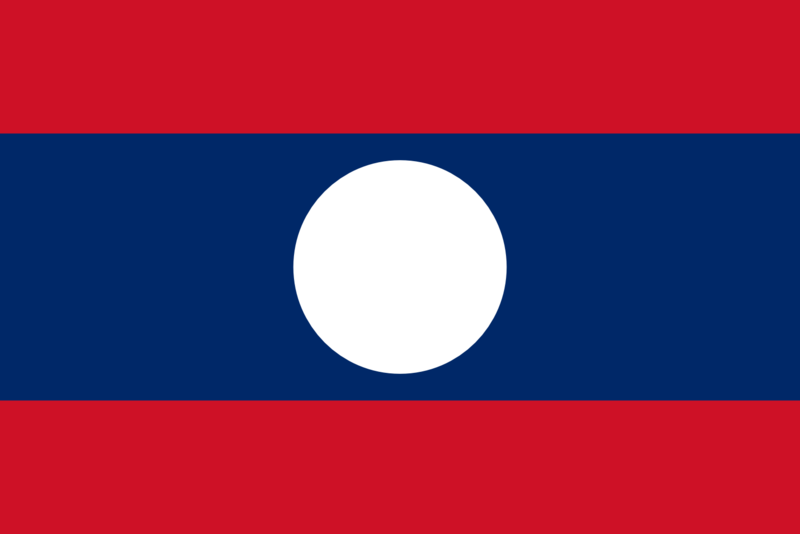 The Laos flag was officially adopted on December 2 1975,The white circle on the blue field is said to represent the moon shining over the Mekong River. The blue stripe represents wealth, and the red represents the blood shed during the internal struggle for freedom. Red symbolizes the blood shed by the Lao people on both banks of the Mekong River in their struggle for freedom and independence from the French.